Just in time for Father’s Day, mobile virtual reality has finally arrived. This is the perfect gift for Dad! Be at the center of exciting games, watch the best of Hollywood in your own private cinema, socialize with friends, and so much more. The Samsung Gear VR drops you right in the action — and it’s only from Samsung and Oculus. 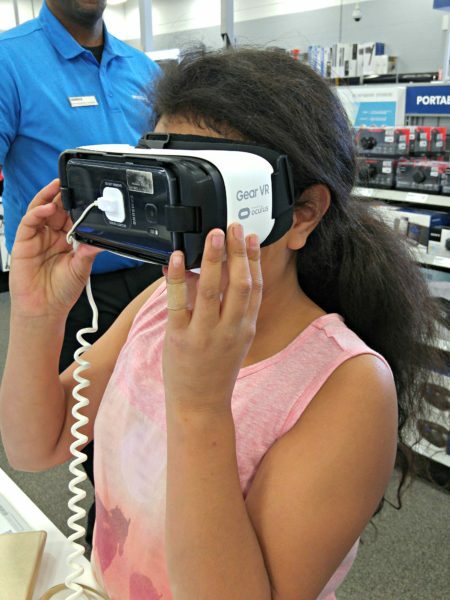 My daughter and I headed over to our Best Buy to check out the Samsung Gear VR. And wow. 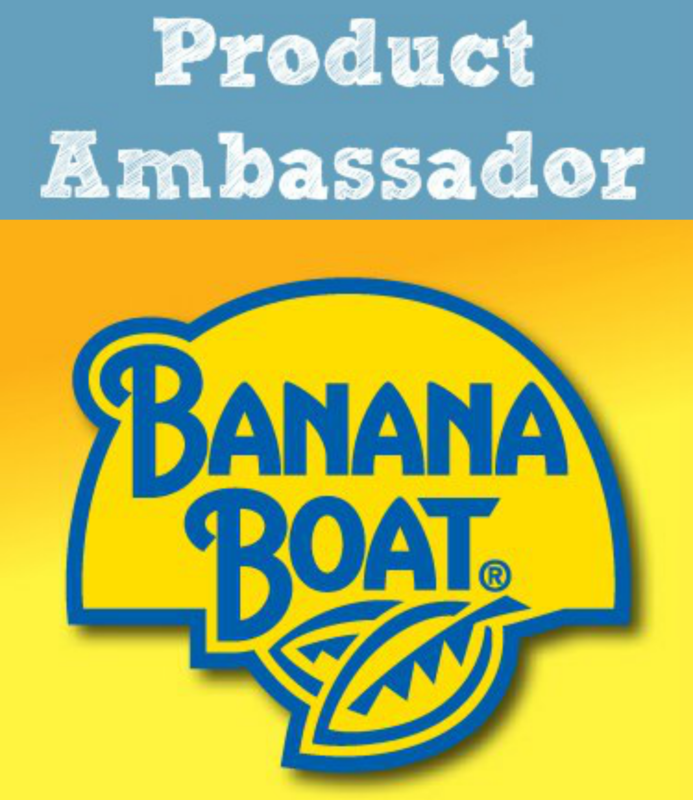 It is ah-mazing! We “swam” in an ocean with sharks, traveled to another planet and experienced the incredible clarity of 360 degree racing. The word “Wow” was repeated again and again. Along with “my turn!”. What do you do with a Samsung Gear VR you ask? There is so much content to choose from. Use Netflix* for Gear VR that sweeps you away to a virtual living room for the ultimate watching experience. Live stream your favorite games, short films and video clips in a virtual theater setting. With full access to more than 1 million Vimeo videos and Twitch, a leading video platform and community for gamers, there’s always something new to experience. With the Oculus Video app, you can customize trailers, clips and even your own movie files. Customize your virtual environment — choose from a home theater, big-screen cinema or even the surface of the moon. 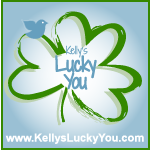 Plus you can buy hundreds of full-length Hollywood movies and TV shows. And it is completely portable! Escaping to a virtual world is as easy as snapping your Galaxy smartphone into your Samsung Gear VR. 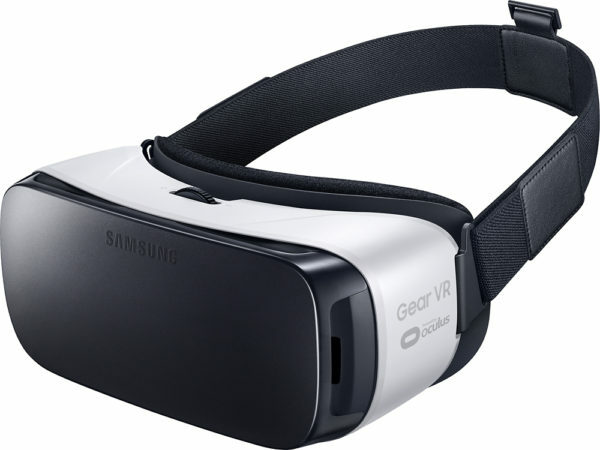 Developed in partnership with Oculus, Gear VR is completely portable, comfortable to wear and simple to set up. 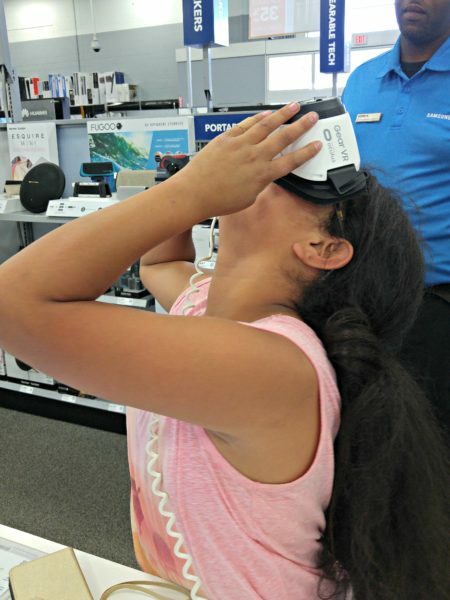 From June 5th to June 18th, take advantage of a special offer online or in Best Buy stores: Free Samsung Gear VR, plus $50 of Virtual Reality content with purchase, or lease, and activation of select Samsung Smartphones. Learn more about the Samsung Gear VR here.